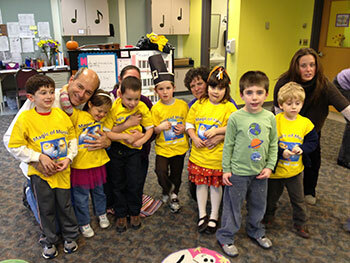 This lively, interactive program is geared to children in special education classes. Children are involved in singing, movement and musical games. SPARC’s music specialist individualizes a goal-oriented program for each student to foster receptive and expressive language, social skills, improve attention, and encourage self-expression. Songs and music are from popular, classical and world cultures. Small classes allow children to explore rhythm and rhyme, call and response, percussion instruments, dramatic play and lots of enthusiasm! These programs provide a varied recreation opportunity for youth to be part of their after-school community. It is a fun time to socialize, build independence and self-esteem. Activities may include games, art, music, movement, discussions and other typical youth interests. SPARC helps students deal with social challenges, build communication, develop new interests and leisure skills. SPIRIT also expands safe coverage hours for busy parents. Our 12 week program meets fall and spring, contracted to school districts at your schedule. Call us for your school: (914) 243-0583.